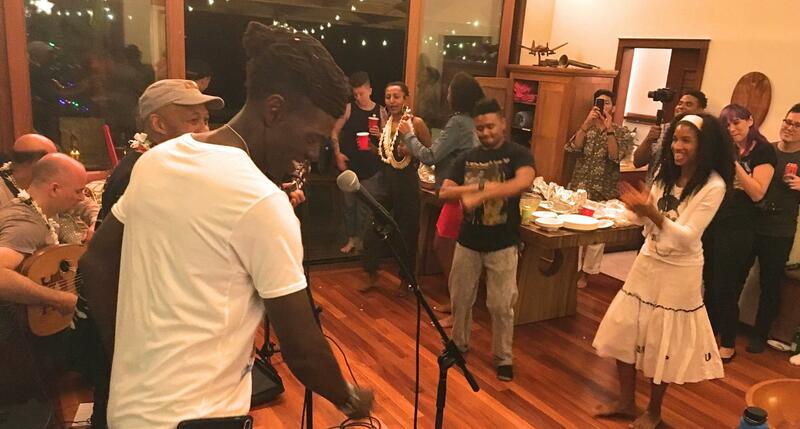 Alsarah & The Nubatones perform at an impromptu kani ka pila (jam session) in Palolo. 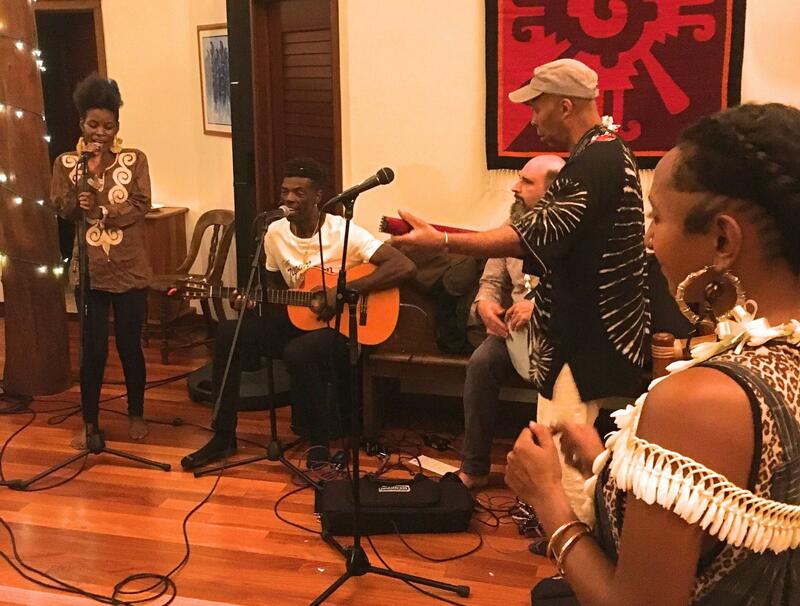 Sudanese singer Alsarah is known for her powerful voice and eclectic mix of what she calls “East African retro pop.” She and her Brooklyn-based band The Nubatones are in Honolulu for a week-long residency at Shangri La. HPR’s Kuʻuwehi Hiraishi has more. Alsarah (front) and the Nubatones. 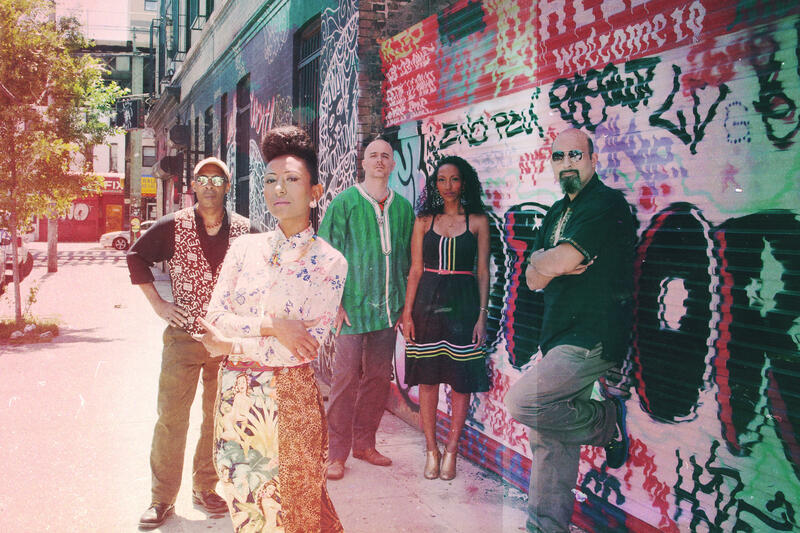 From left to right, French-born Togo-raised bass player, Mawuena Kodjovi; oudist Brandon Terzic; vocalist Nahid; and doumbek player Rami El Aasser. Alsarah now calls Brooklyn home. She and her band The Nubatones will be the first interisland Artist in Residence for the Shangri La Center for Islamic Art, Culture and Design. The band will perform and meet with groups on Oʻahu, Maui, and Hawaiʻi Island over the next week. Alsarah looks on as local musicians jam with her band the Nubatones at an impromptu kani ka pila in Palolo. 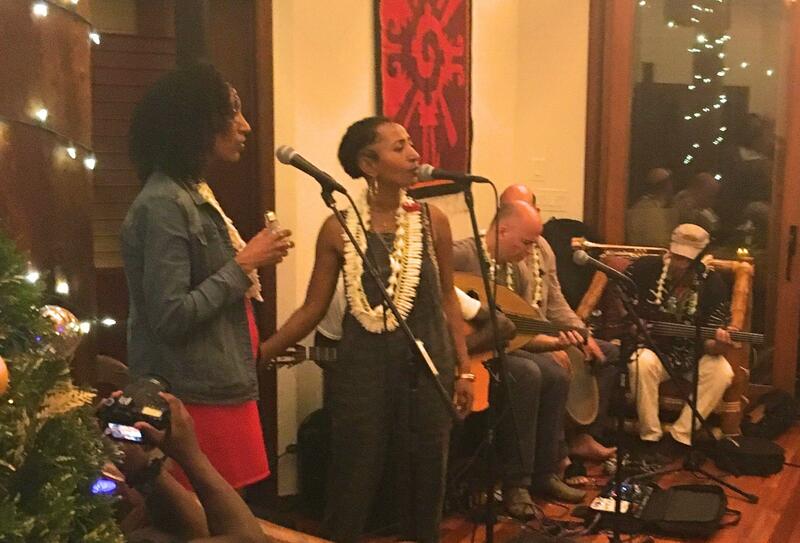 Liberia-born singer and Hawai'i resident Kahnma shares her talents with Alsarah at the kani ka pila gathering. This is Alsarah’s first visit to Hawai’i. 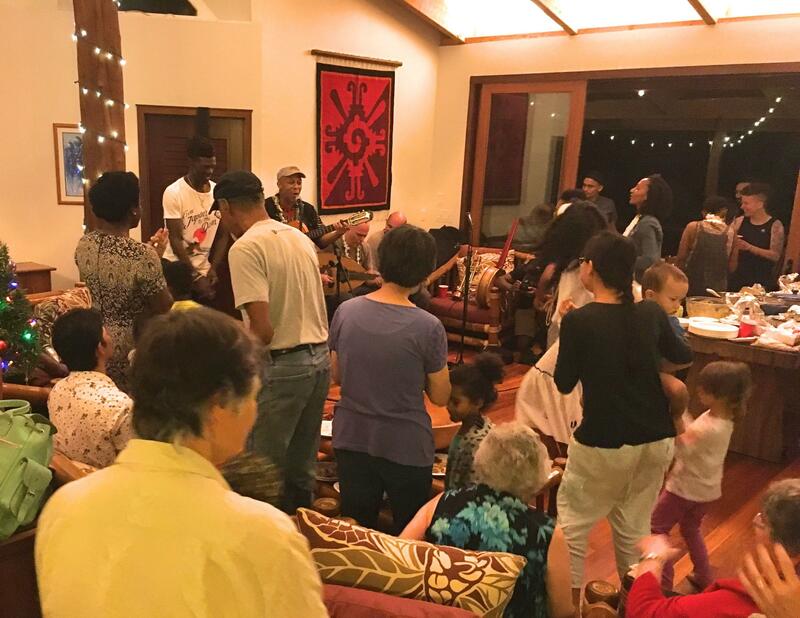 Jafri teamed up with the local non-profit organization The Pōpolo Project to host a kanikapila with local musicians and community members in Pālolo. A captivated audience rise to their feet to dance at the kani ka pila gathering.